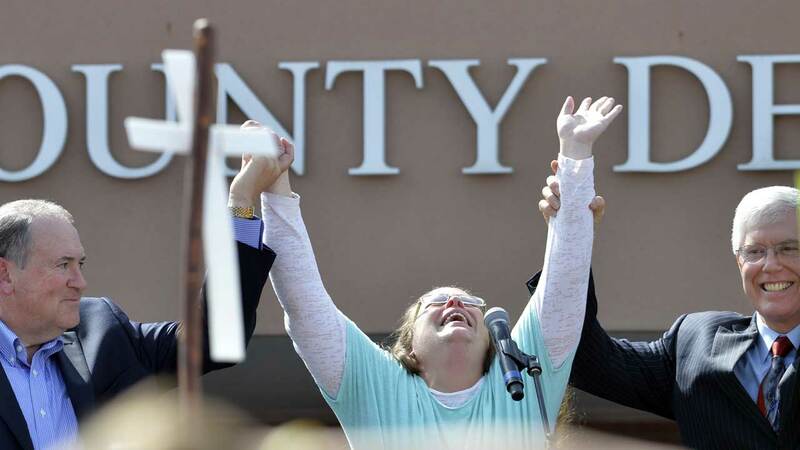 CHICAGO (WLS) -- Jim Peterik of the band "Survivor" isn't too happy the band's song "Eye of the Tiger" was played as embattled Kentucky County Clerk Kim Davis was released from jail. Peterik, who lives in suburban Chicago, co-wrote the song. In a Twitter post, he said the organizers of the rally did not have permission to use it, and Davis' views do not reflect his own. He said the publisher of the song is seeking a cease and desist order. "Eye of the Tiger was written for the film "Rocky 3." I have not authorized the use of Eye of the Tiger for use by Kim Davis and my publisher will issue a C&D. This does not reflect my views.